This 2-Disc set contains 4 hours of real-time workouts by Team Renzo Gracie. Included are the conditioning sessions that helped Roger Gracie and Kyra Gracie both win gold at the 2005 ADCC World Grappling Championships and the strength and sparring sessions that allowed Rodrigo Gracie to win at Pride FC and K-1. In addition to the workouts, there are discussions of training philosophy and program design. 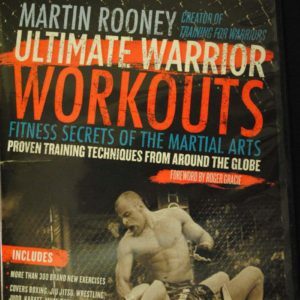 If you are a martial artist looking to also become a martial athlete, this DVD set will take your game to the next level.